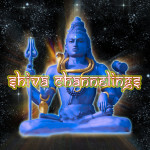 In 2005 I merged with Shiva while I was channeling healing energy. Merging is different than channeling energy and information. I don't merge often. Channeling energy or information is a feeling of being in my body and experiencing from a detached perspective as I use my physical instrument to convey information. Merging is a more full body experience of sharing consciousness and physicality as I experience from another perspective, while still remaining conscious. The subject of release is one with many layers that could be spoken of in many conversations and still not come to a close. You are in a constant state of release, like the breath in and the breath out. It is the release that brings forth the new. It is the movement forward caused by the release. Desire and release seem to be opposite, but in reality they work in concert with one another. It is the desire that pulls you forward; it is the release that propels you forward. One without the other and your momentum ceases. This time of rapid movement brings into a focal point your endings and your beginnings. This topic we have covered before. Your endings and your beginnings are not so succinct, they cross-over, they draw out, they intermingle with one another. Yet you appreciate endings and you appreciate beginnings, so you find a way to bring them to a focal point for your own understanding and your own continued movement forward. There are endings that you look forward to, that you pray for, there are endings that you try to avoid. There are endings that bring you ease and endings that bring you fear. All of these bring you growth. All endings bring you growth. This is a constant in your life, growth. Growth involves change, for in stepping to a new level, you must leave another level behind. In order to grow sometimes you must become so uncomfortable in your skin that you would shed it. Sometimes you must observe the growth of others, sometimes you must reflect upon your past, sometimes you use the engine of comparison to propel you. This can benefit you if you keep your perspective of love clear. Let us first talk of labels, categories. This is what your mind does when it controls your heart; labels, categorizes, organizes. In balance, all of these are powerful enhancers. Too little of these functions and the heart can not magnetize its needs and desires, too much of these functions and the heart does not have a voice and therefore the needs and desires of your true beingness are not manifested. Therefore we balance the feeling place with the thinking place, the action place with the reaction place, the yin with the yang, the masculine with the feminine. It is a human pursuit, a valiant pursuit and one that at this time and this place presents an unprecedented opportunity within humanity’s conscious memory. To understand emotion is to understand time. For emotion and time are hand in hand in their function. As you utilize emotion you are marking points in time. As you utilize time you are marking points in emotion. When you experience emotion in your physical existence, your energetic body relays information, tracking emotional marker points from the experience that your soul-stream has throughout all time. Your soul stream interweaves with many others, it is not constant. It changes, expands and refines. You are you, and you are all. Therefore from all experience throughout time you use emotion to relate different experiences to one another. This is why the clearing of fear has become so important at this time. The clearing of fear is imperative to moving forward into empowerment.